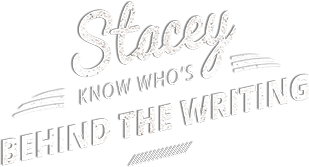 Hi, I’m Stacey, a freelance writer and digital PR consultant based in the West Midlands, United Kingdom. 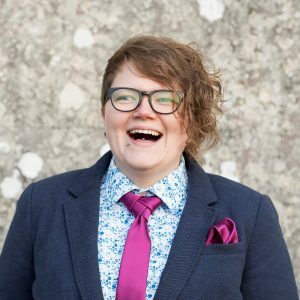 My speciality is creating unique digital content for blogs, websites and social media; which is exactly what I’d like to do for you. Words are very much my ‘thing’, I have been writing and seeking out writing challenges pretty much since I could hold a pen. Playing with words and putting my thoughts on paper has always been intuitive as writing has always been my emotional outlet. It wasn’t until adulthood, however, that I realised that an affinity for words wasn’t universal and that people would actually pay others to transfer their thoughts to paper, so now I’m lucky enough to be able to do it for a living! I enjoy many different styles of writing and can turn my hand to whatever voice you need for your audience, though most of all I love to hear people’s stories. Everyone has a passion for their work or their projects, but not everyone can turn this passion into something that they can market. I pride myself on being able to capture the love and energy that my clients feel for their work and transform it into words that make them (and their customers) smile; making happy clients really is the ultimate goal! I don’t like to take myself too seriously (as you can probably tell) and strive to deliver something unique, fun and that speaks for my clients. I’m a firm believer that you’re never too old for silly, or, indeed, unicorns. Laughter is like actual magic. It’s universal, contagious, and can affect even the most sensible of beings. Making people laugh not only brightens their day but mine too, so for as long as I have the inclination and the power to do so, I will. I have a kind of writer’s wish list in my mind. I would love to write for Amnesty International, Stonewall or MIND as all are very close to my heart. I currently volunteer with PAPYRUS prevention of young suicide and would love to shake up their blog! So if your brand is LGBTQ-related, or in the arena of mental health, then I’d bring an extra dose of unicorn passion to the product. While we’re talking wishes, I’d also REALLY LOVE to write for a craft beer or street food publication. I am an absolute craft beer hound and think there’s nothing like a good street-food event or beer festival – I like to think my wedding was a mixture of the two, so I have rather a vested interest in both industries. I’m currently working as a PR & outreach consultant for Exposure Ninja as well as providing freelance writing and digital PR services to private clients. I also blog over at The Dinocorn Life. For a full rundown of what I can do for you, hop over to the Services page. Alternatively, fill out the form on the homepage to get a FREE 30-minute consultation to find out how we can work together to meet your digital marketing needs!